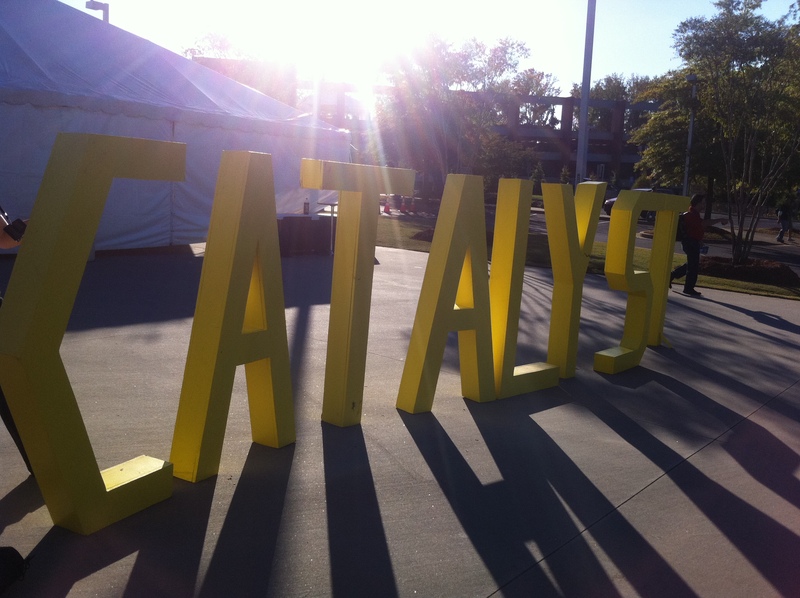 Last week I had the honor of attending Catalyst 2010 in Atlanta. What started out in 2000 as a conference attended by 1,500 church leaders in Atlanta, has since grown to an event attended by over 100,000 people. Most recently, a second conference was added to the West Coast with 3,000 leaders attending. I had heard about it through friends from Kensington Community Church but couldn’t really grasp the magnitude until I was there in person. 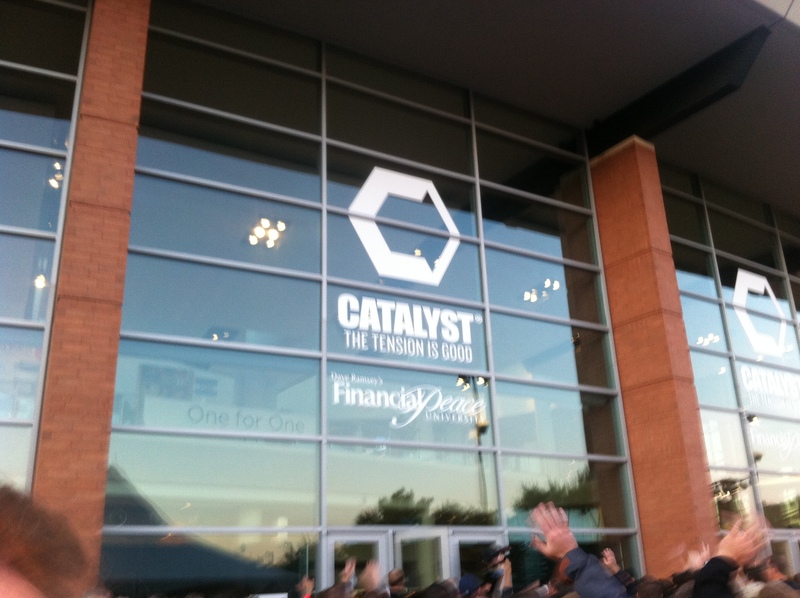 At its core, Catalyst doesn’t differ much in message from other conferences I’ve attended this past year like Future Midwest and TedxDetroit, with one exception…change is talked about in the context of the places many of us attend on Sundays, our churches. This conference is about “maximum impact” and being a “catalyst” for change. The core vision of Catalyst has always been to impact the next generation. By creating “change agents” throughout the church that possess wisdom and understanding, the opportunity is created to usher in the necessary adjustments to an ever-evolving church. By helping these leaders grow in their leadership ability – Catalyst can have impact on an entire generation. We have a high belief in the impact that one changed life can have on another and therefore focus our efforts towards personal change with a community application. Catalyst sees a need to ignite and unite the next generation of leaders allowing their passions and gifts to flourish and have maximum impact in our churches and culture. The list of speakers was incredible: Andy Stanley, Francis Chan, Craig Groeschel, Perry Noble, Beth Moore, T.D. Jakes, Daniel Pink, and Seth Godin…just to name a few. Each of them, in their own way, spoke about how tension in an organization can be used to positively foster change. This idea completely changed my way of thinking about leadership. I never thought tension was good. I often viewed tension as conflict, something I have found difficulty in dealing with. However, when presented with this way of thinking, I began to realize tension in an organization can be a good thing. Tension, in this sense, challenges an organization. It requires communication and feedback. It forces leadership to think differently and do things in a way that hasn’t been done before. As I look back on my career, I often tried to eliminate tension and solved a problem that was actually more of a tension than a problem. Is it possible that the tension was required so that the organization could move forward? I guess this is something that I’ll be on the lookout for as I move into this next stage of my career. Are there TENSIONS that need to be MANAGED versus PROBLEMS that need to be SOLVED? Andy Stanley talked about leveraging tension to the benefit of an organization. This is a tremendous balancing act for any leader. You have to weigh BOTH sides and take your personal bias out of the equation. My faith in God was reignited after Catalyst. I realized that there are some tweaks I need to make and some things I need to bring back in order to stay grounded in my belief in God. My hope and prayer is that I can be receptive to tension and leverage it to not only advance the organization but to also advance God’s Kingdom. My challenge to you is to be aware of the tensions in your life and use them as a catalyst for change in you and your community. The tension is good! Catalyst East 2010: Recap Video from Catalyst on Vimeo. Patrick Reyes works for MRM Detroit, a leading digital agency in Birmingham. He also blogs at Rey(es) of Light and Edooce. You can follow him on Twitter at @patrickreyes.